A couple of us pork loving fiends (from the Bangalore Foodies Club) decided to meet up on a balmy Sunday afternoon, to partake in a special feast created just for us by Chef Pema at Hunan. 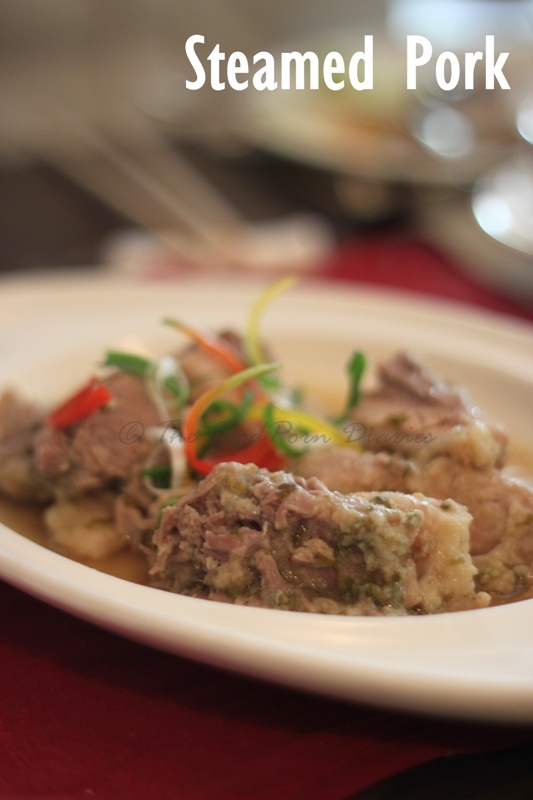 Our directions were very simple – every course he served should have pork as the star. (We made a concession for dessert – though it would have been fun to see a pork based dessert!). 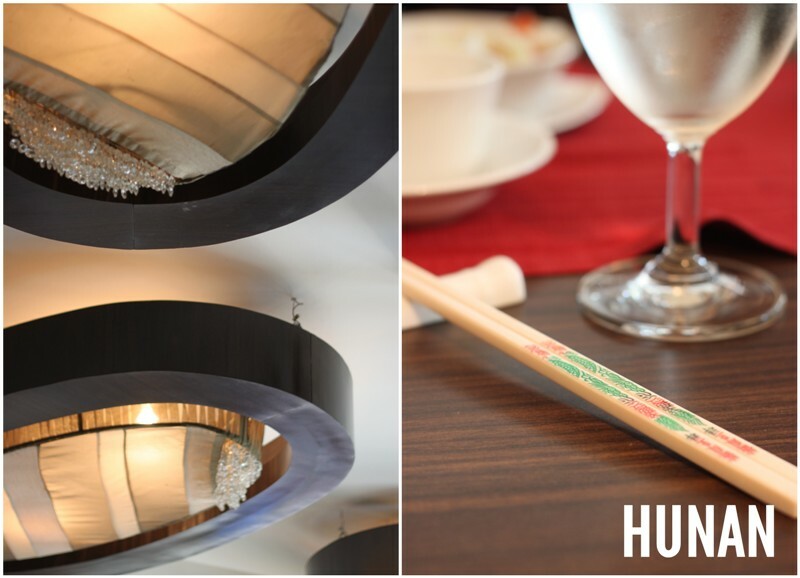 I have visited Hunan on innumerable occasions and have always come away pleased with the food and the wonderful service. There are very few stand alone Asian restaurants that serve pork and I for one am a fan of anyone who does! The motley crew of Pork lovers started the afternoon with a chilled Asti (Hunan has a wine license J ) – a toast to food, fun and friendship, a lovely gentleman chimed in. ‘Aye aye!’, we chimed in unison as the wonderful smell of the Pork Gyoza wafted in! A gyoza is very similar to a dumpling and is more popular in Japan than its land of origin – China. 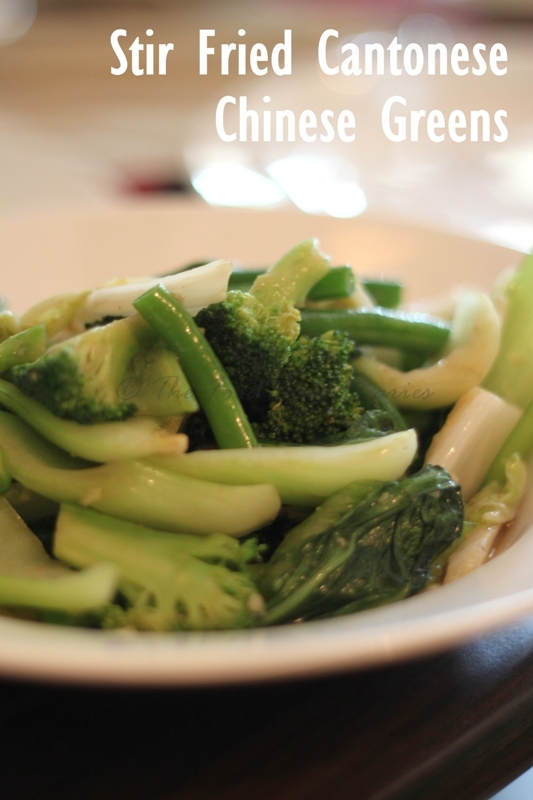 These are steamed and served with a soy dipping sauce. 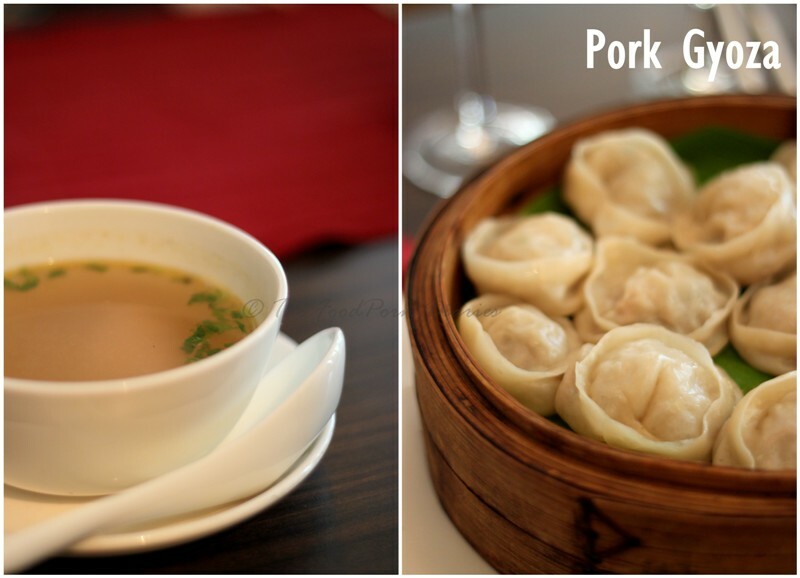 The pork gyoza at Hunan was one of my favorite dishes that day – served with a caramel colored pork broth, it was just how a dumpling should be! It’s difficult to get a bao cooked just right. I have gone to another dim sum joint in Koramangala that on one occasion gave me a completely undercooked bun and on another occasion made the bun so dry that it cracked on top. 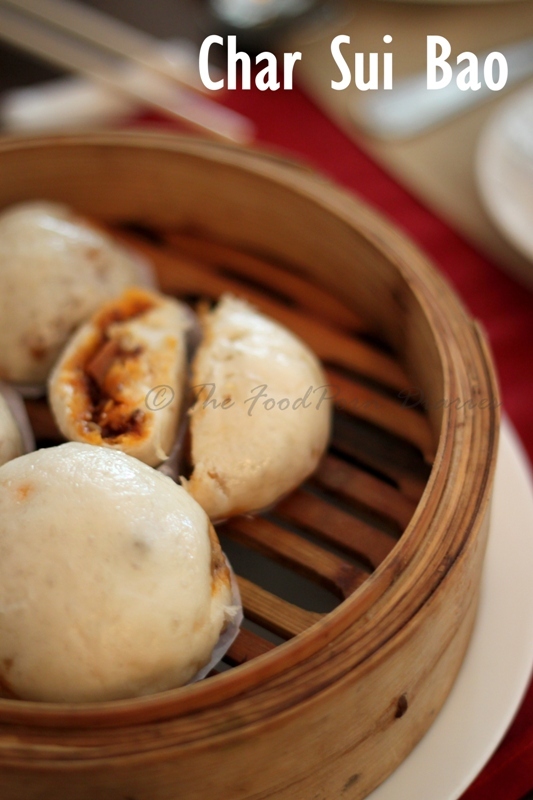 So I was in a joyous mood when the bao arrived pert and plump in the dim sum basket and the filling was sweet and dark and sticky inside. Glorious! Next the most anticipated dishes of the day arrived. 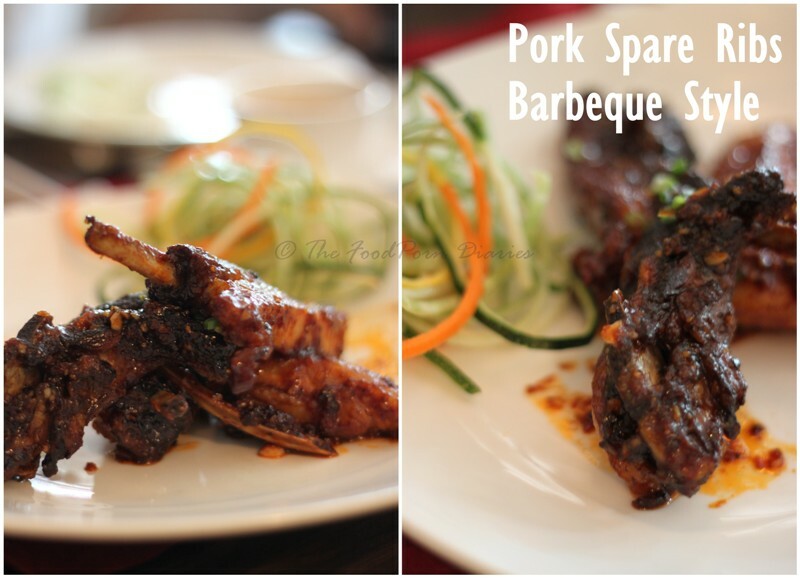 The Pork Spare Ribs – Barbeque Style and the China Town Spare Ribs. The Barbeque style spare ribs were the clear winner. (Atleast by the number of additional helpings people took!). I attribute it to the fact that the flavor was more robust. And the glaze was a gorgeous dark sweet-spicy garlicky concoction. 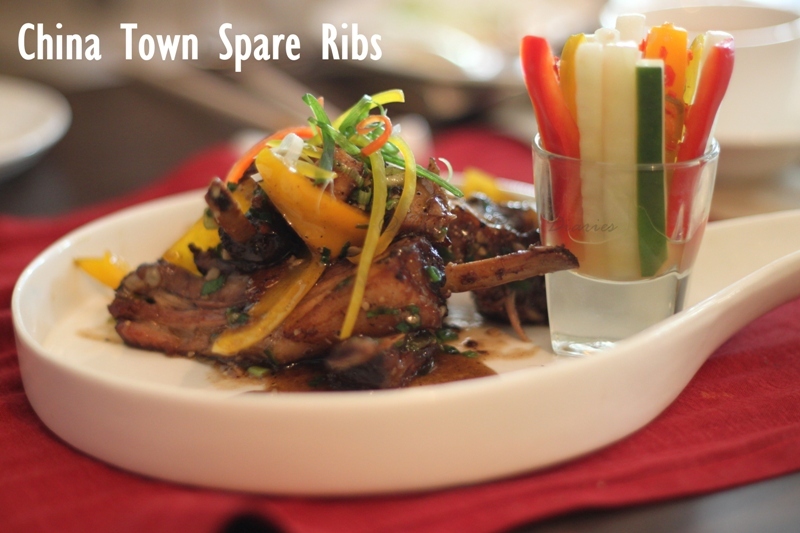 The China Town Spare ribs were actually the more refined counterpart – but people like ‘punch in the face’ flavors. Next time I’m going to order the Spare ribs and enjoy it on it’s own – without the poor thing having to compete for attention in the same meal by its more raunchy barbeque sibling! 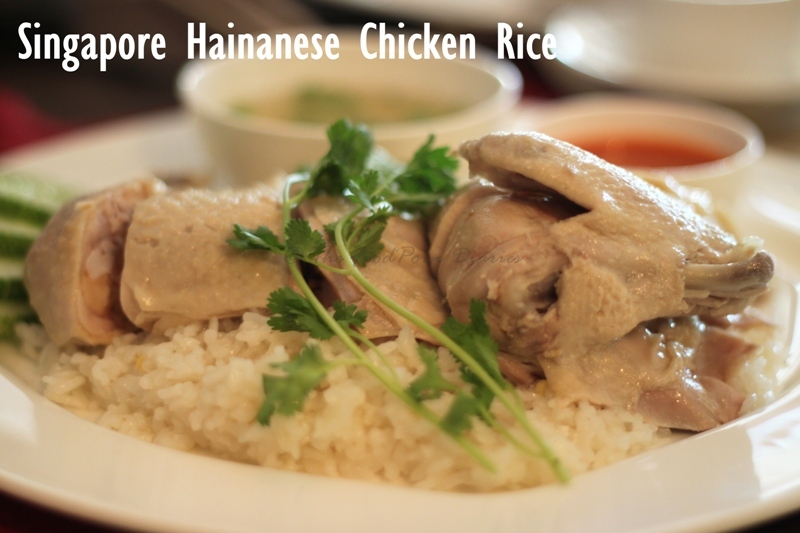 A very special dish was made for the first time in the kitchens of Hunan that day – the Singapore Hainanese Chicken Rice! 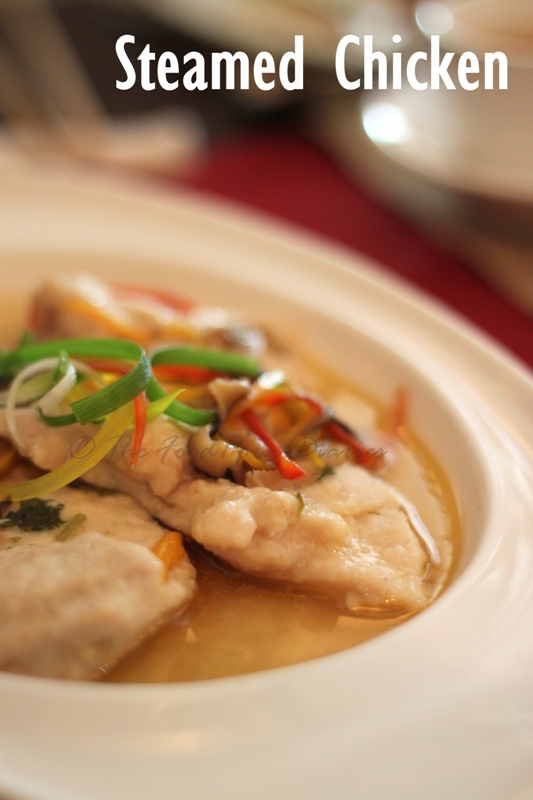 Chef Pema on the request of a dear friend and restaurant critic recreated this National dish of Singapore. We have to applaud the man – he got it 90% right on the first try. In the Singapore style, the whole chicken is steeped in a master broth with garlic and ginger and cooked at sub-boiling temperature to extract maximum flavor. 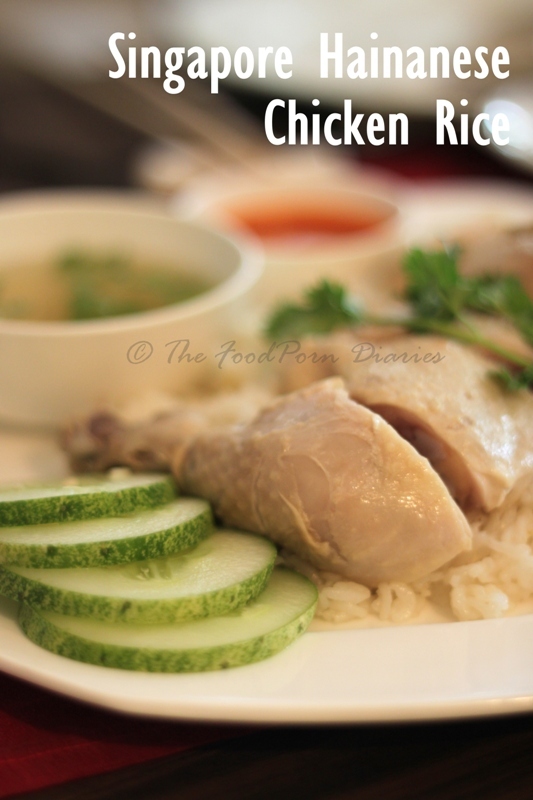 The rice served with it is called oily rice and is cooked using the broth as well. Served with pickled cucumber and a bowl of the broth – the absolute comfort food is now ready! I hope Chef starts serving this as a regular on his menu, or maybe a Sunday special – I for sure will be queuing up to eat it! 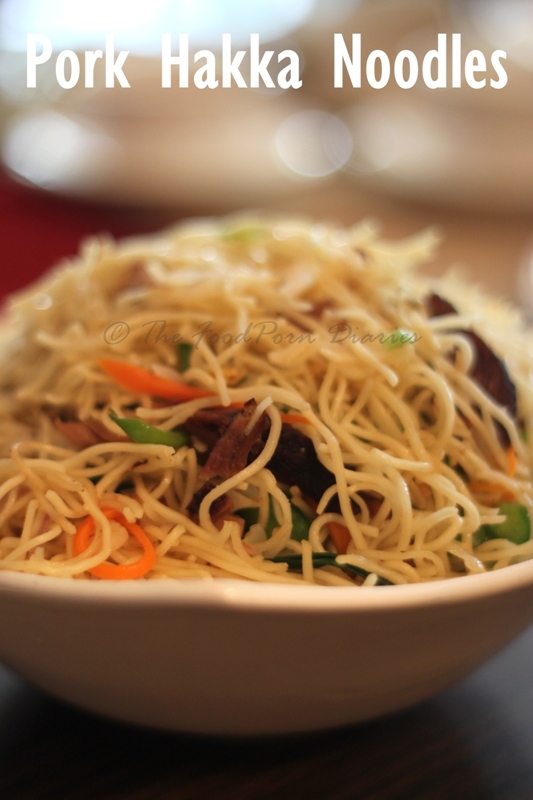 The Main course of Chilli Pork was served with Pork Hakka Noodles. By this time I was sure I had consumed half a pig on my own and was feeling like a stuffed pig myself, but I ate – to tell you about it! 😛 The thin slices of Chilli Pork came in a glossy brown gravy which I spooned next to my slim pork hakka noodles. (Slim is a joke here right?). Time for dessert. Its summer in Bangalore and that means Mangoes. 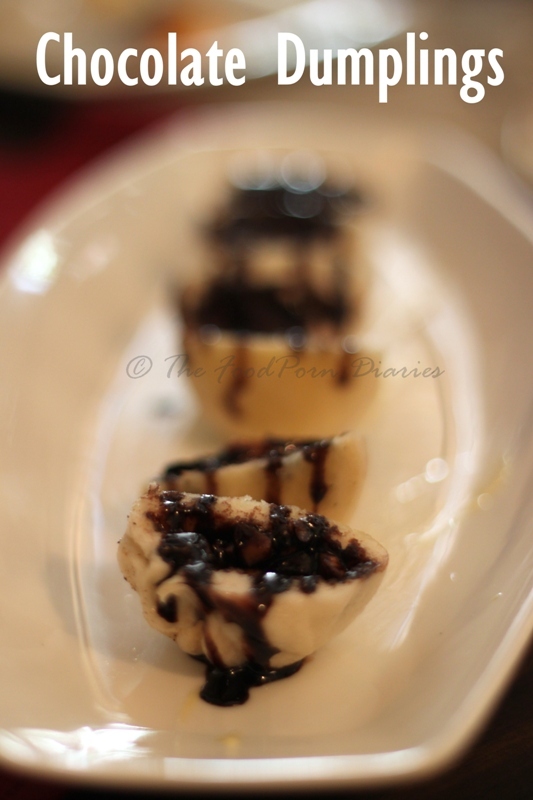 The desserrt of the day was created by the co-owner Jagdish Menda’s mum! 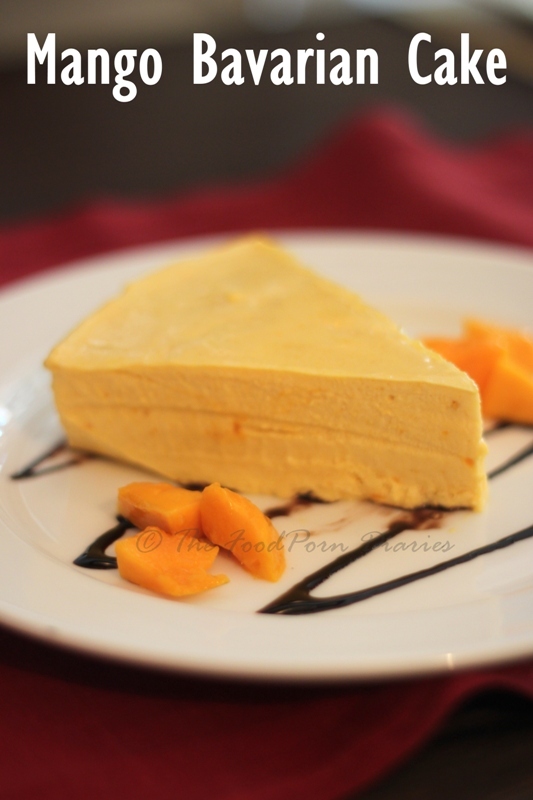 A lovely Mango Bavarian Cake. So we ended the day with the bavarain and some Chocolate dumplings to boot. Sigh…why can’t every Sunday be this blissful! P.S. Apart from the Char Siu Bao and the Hainanese Chicken Rice, everything else I described above is available on their regular menu. 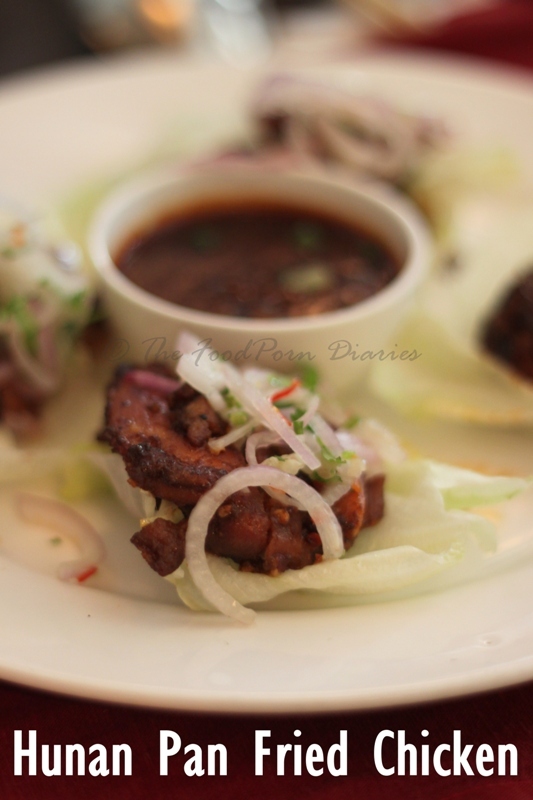 So go pig out one day – it’s totally a bang for the ‘buds’! Looks really delicious!! 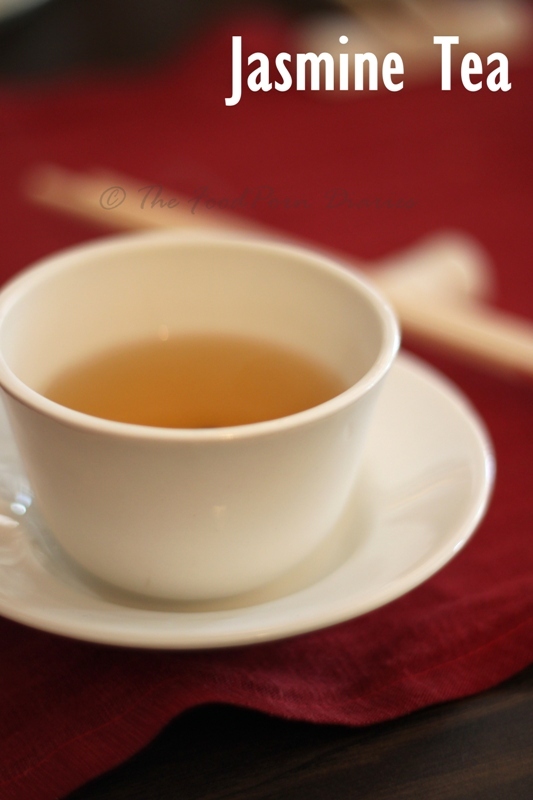 And i do agree that Hunan is one of the best place to taste the non vegetarian food in Bangalore.